Duke Albrecht V of Bavaria, in modern day Germany, decreed in 1533 that beer could only be brewed between September and April. This was in part because beer brewed during colder months tasted better. This encouraged breweries to create underground cellars to store beers for the summer. To keep the beers cool they planted trees above the cellars. 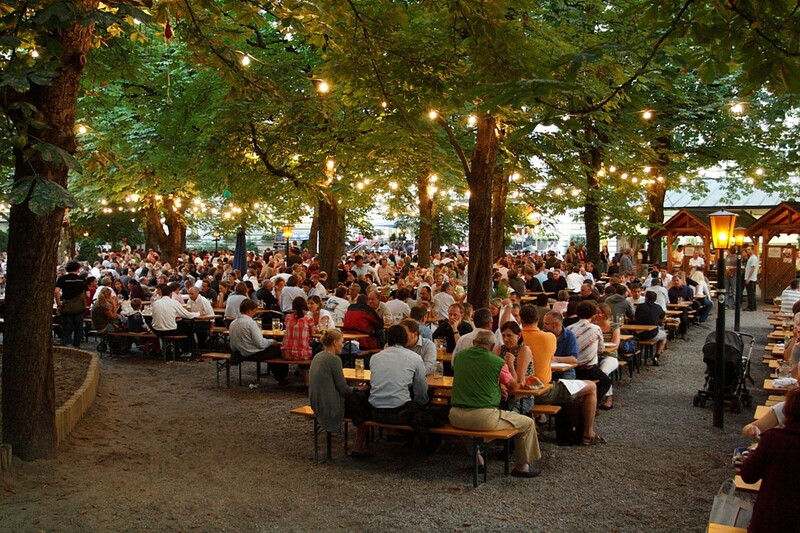 Soon they placed a layer of gravel and some tables and the areas became popular drinking spots. So popular in fact, that the owners of inns and taverns wanted to ban breweries from directly selling beer to customers as they were taking away too much business. In 1812 the government compromised and said that breweries could continue to sell beer, but they couldn’t serve food. This didn’t prevent patrons from bringing their own food, so beer gardens went on to become a nice place to have picnics.